The next station on the cross-city line from Longbridge, Northfield is somewhat of a hybrid: whereas Longbridge is a product of the regeneration of local railways during the 1970s, Northfield is a traditional station (originally opened in 1870) on the former MR's West Suburban Railway that was considerably remodelled during the 1970s. 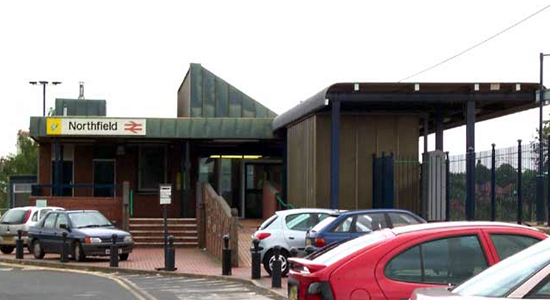 Above we see Northfield Station's main entrance viewed from car park, July 2003. Above-left we can see the subway entrance to the station from Station Road. 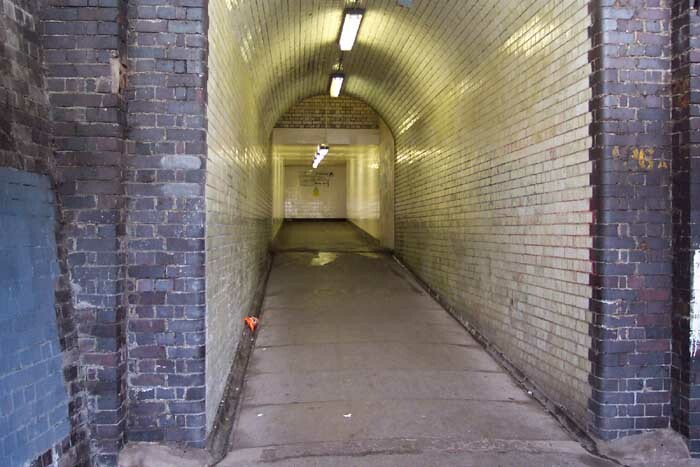 Halfway along on the right-hand side is the bricked up entrance to the island platform, the main station building is entered from a flight of steps on the right-hand side at the far-end of the tunnel. Above-right is a view across the tracks taken from the up platform which itself was created during the remodelling of the station. The island platform can clearly be seen but is now in a poor state of repair and reclaimed by nature. 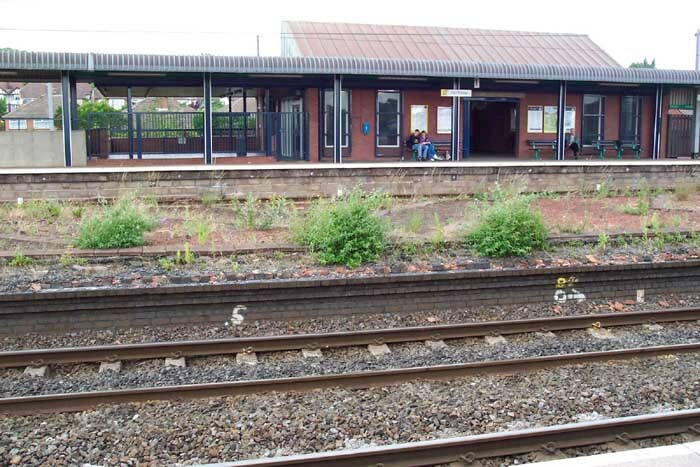 Interestingly, along the island platform can still be seen the upright beams that once supported the various hoardings displayed at the station and the areas which once bore the station buildings themselves. The island platform is now completely inaccessible. 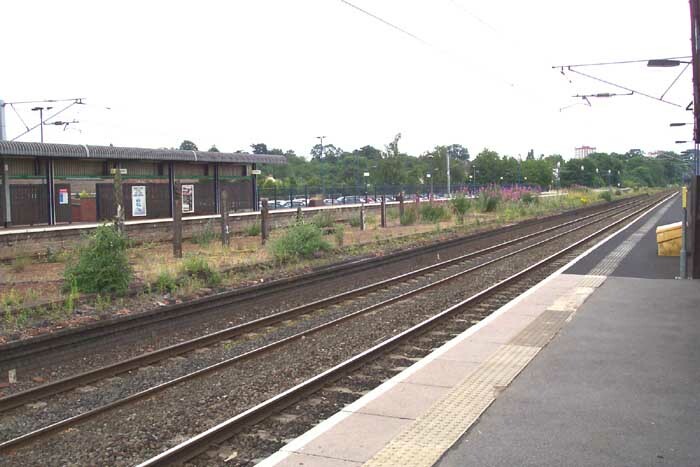 Above-left we are again on the Redditch platform and are looking along the station towards Bimringha New Street: as with many of the stations bestowed with a disused island platform, some weed clearance wouldn't go amiss! 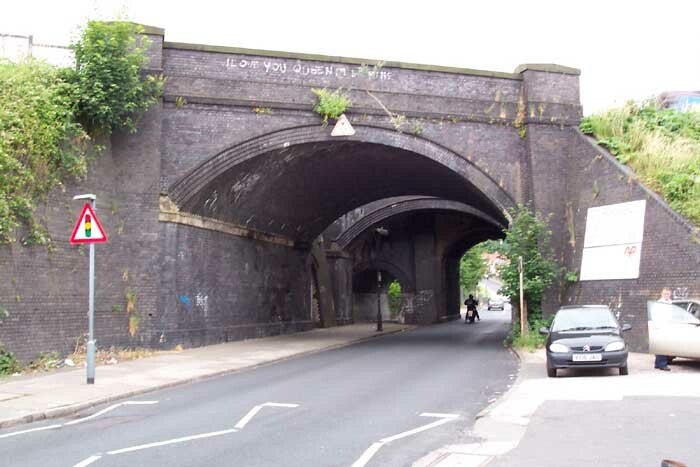 Above-right we can see the railway overbridge on Church Road - if you look closeley you can discern another bricked-up entrance (centre of the bridge on the left-hand side): this used to be an entrance to the island platform and existed up until the late 1970s when the station was made-over for the Corss City Line project.